Custom Printed Tickets can put your Special Event over the Top! What does a bull roast to help raise money for your slow-pitch softball team, a middle school carnival, and a community theater production of Peter Pan have in common? They all need tickets! And event organizers have two options. They can buy a roll or two of those orange stock tickets – Boring! – or they can invest in Custom Printed Tickets. 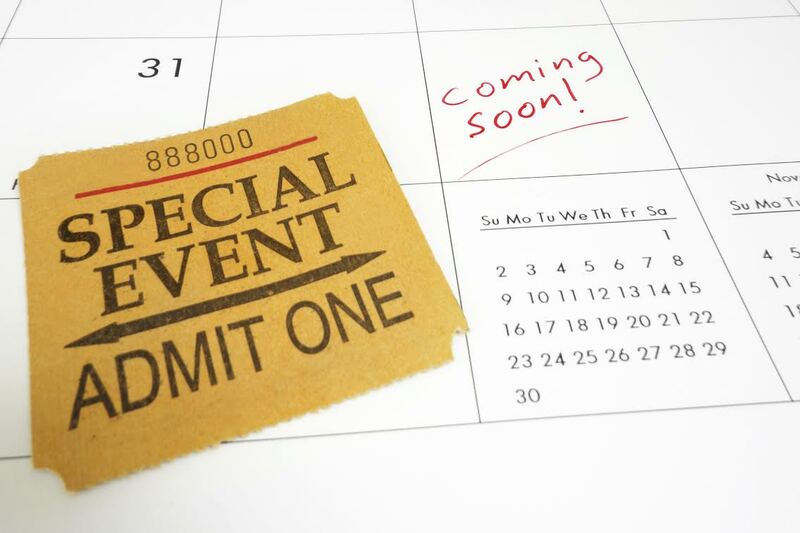 Ticket Sales: The design of a ticket can make a big difference between a successful event and a mediocre event. The ticket design can often sway more people to buy. Just imagine a person comes up to your door selling tickets for their son’s little league fundraising event. They have a roll of orange stock tickets in their hand. Would you buy a ticket? Now imagine the same scenario, but the person at the door has custom printed tickets. Would you buy one? In which scenario would you feel most comfortable purchasing a ticket? Our guess is No. 2. Professional Look and Branding: If you want to put your special event over the top, custom printed tickets are a must. They instantly give your event credibility, which will help drive further ticket sales. When you opt for custom printed tickets, it allows you to use your organizations colors, logo, and other branding directly on the ticket. This is especially nice for businesses. Ticket Style: The event or raffle may require a special ticket. Those orange stock tickets just won’t do. Depending on the event, a wide range of styles, types, and designs of tickets can be used. Custom printed tickets allow you to design your tickets for any specialized needs. Some tickets may need to be numbers, others may require perforation with a section being kept by the purchaser, and others may need areas for the buyer to write down his /her contact information. To learn more about Custom Printed Tickets, give us a call today at 410.566.3005 or click here. You can also connect with Time Printers on Facebook, Twitter, Google+ and Pinterest as well. Posted in Event Materials in Baltimore | Comments Off on Custom Printed Tickets can put your Special Event over the Top! As any business person knows, networking is a MUST for any company, regardless of size. Networking is a way of making meaningful connections with potential employees or employers, business partners, investors, and customers or client. However, how can you be assured that a connection you make at a networking event will last? The answer: Business Cards. In a world obsessed with networking, business cards are essential. Many times, they may be the first encounter a potential client or customer has with your company. And without business cards, any potential connection you make is likely to fizzle out immediately after the event. 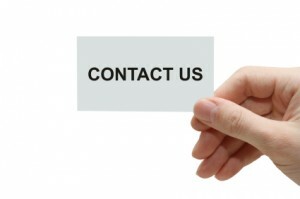 Business cards allow easily trade contact information and stay in contact with potential connections. When you meet someone at a networking event, immediately hand them a business card and ask for one in return. This way you can follow up with them if they fail to do so with you. Make it easy to write on! There is nothing more frustrating than wanting to jot down a note or additional information about a connection and not being able to do so because the card is too glossy. Remember, people like to write down information to help them remember who you are and what you talked about. After all, you meet so many people at these networking events, it is sometimes impossible to remember everyone without a little extra help. Your company name, your name, your phone number, and your email address are all must haves on your business cards. However, it is important to add additional information, such as your job title, and any additional contact information, like your Twitter handle. The more ways potential connections have to get in contact with you, the better. Some experts will even tell you to add your photo, because some people remember faces easier than they do names. If you go to a convention or networking event and come back with 50+ business cards, you can be assured that everyone else there problem has a similar amount of cards crammed into their pockets. So how can you be confident that your card stands out in a crowd of 50? How can you be confident that you have made a lasting image with a possible business connection? The answer: Professionally Designed Business Cards! A business card is like a small brochure. It tells your business connection everything they need to know about you: who you are, where you work, and how to get in contact with you. But, like a brochure, aesthetically pleasing business cards are more effective. Time Printers is a full service printing products and services business. We have extensive knowledge of the printing industry and our quality products prove time and time again that we are not just printers, we’re innovators. Allow our sales team to help you choose the best business cards for you and your business. To learn more about Time Printers professional graphic design services, printing services and marketing essentials, give us a call today at 410.566.3005 or click here. You can also connect with Time Printers on Facebook, Twitter, Google+ and Pinterest as well. It’s no secret that Time Printers Incorporated offers an array of printing products and services to help raise awareness for your business. From business cards to promote your business to project finishing making your project look its best, our professionals at Time Printers have everything you need to help your business. However, did you know that Time Printers also offers customizable promotional items for your business! Strong Marketing Base- Customizable promotional products allow you to provide a variety of promotional bases for your small business. Business Card Buddy- While leaving a business card with a potential customer is effective, leaving a promotional product that your target could also use can be doubly effective. For example, if you are opening a coffee shop, leave a business card along with a travel mug with your business name printed on the front. Recognizable- Using everyday items to promote your business will allow your logo or name to become more recognizable throughout the community. Items like pens and cups that are used almost every day are great ways to get your name and logo out into your target area. Concrete- Word of mouth is helpful when promoting a business, but having a physical object with your name can be even more helpful. An item that is constantly present will help customers remember your existence. Reach Many, Spend Little- When your business is just starting out, you don’t want to spend a lot of money in hopes of generating business. Promotional products from Time Printers are priced adorably to save you money while promoting your business in a large area. Time Printers offers an array of promotional products to help you promote and market your small business. Products include items like wrist brands, USB drives, travel mugs, pens, and glow products. Search our inventory to customize promotional products that would work best for your business. Need promotional items or professional printing services? Call Time Printers Incorporated today at 410.566.3005 or click here for our contact page. Follow Time Printers today on Facebook, Twitter, Pinterest, and Google+! June is here and with it comes the day that belongs to dad! 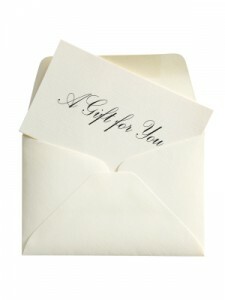 Do you know how you’re going to show your appreciation for your father this upcoming Father’s Day? Let Time Printers help you create a unique gift for your dad to let him know how much he means to you. You have probably given your father several ties and hats over the years, now it’s time to give him something from the heart. Letterheads- Is dad a businessman? Surprise him with custom printed letterheads for his business. Take the stress off of dad while helping his business look more professional than ever before. Business Cards- Help dad even more on the business front with custom printed business cards! Dad doesn’t have a business? Make him his own Father’s Day business cards to constantly remind him how much he means to you. Vinyl Banner- Surprise dad with a custom designed banner for your home and Father’s Day cookout! Our banners can handle the elements should it rain and will hold up after storage, letting dad save his banner for years to come. Posters- Show your father how much you care by creating posters to be spread throughout your home or neighborhood. Promote you dad by highlighting everything special about him with our professional posters. Stickers/Magnets- Want to show your appreciation in a more subtle way? Try magnets and stickers that can be scattered and placed for your dad to find. At Time Printers Incorporated, we provide professional printing and services at an affordable price. We strive to meet goals and exceed expectations with whatever printing job you approach us with. Family owned and operated, Time Printers is your one stop shop when it comes to professional printing. To get started with Time Printers today, call us at 410.566.3005 or click here! You can also follow Time Printers on Facebook, Twitter, LinkedIn, Google+, and Pinterest today!